Since we've begun raising our own chickens, I'm constantly amazed at how many eggs we use a week! I mean, before we got chickens, we used to have a big breakfast most Sunday mornings centered around scrambled or sunny side up eggs, and I would make omelets sometimes. But since being blessed with a seemingly never-ending abundance of fresh eggs, it seems that eggs creep into nearly every meal - and make every meal so much tastier! 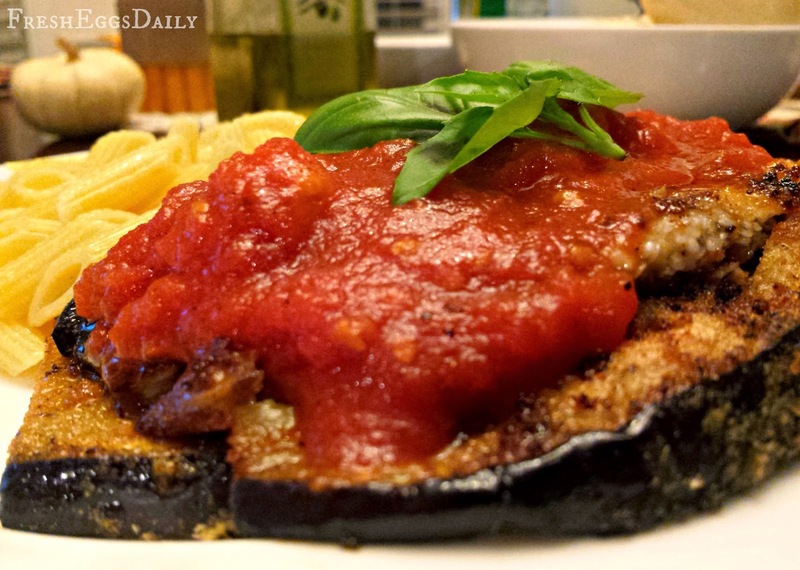 Case in point, this Classic Eggplant Parmesan recipe. 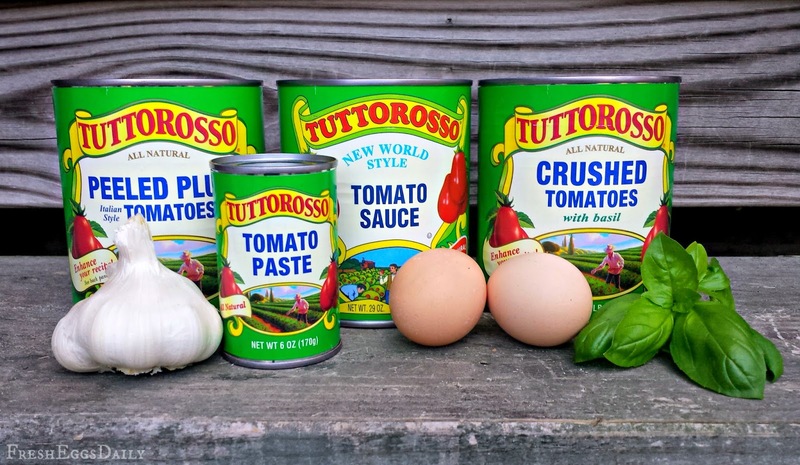 When I was contacted by Tuttorosso Tomatoes and invited to help them promote their products, I was thrilled. 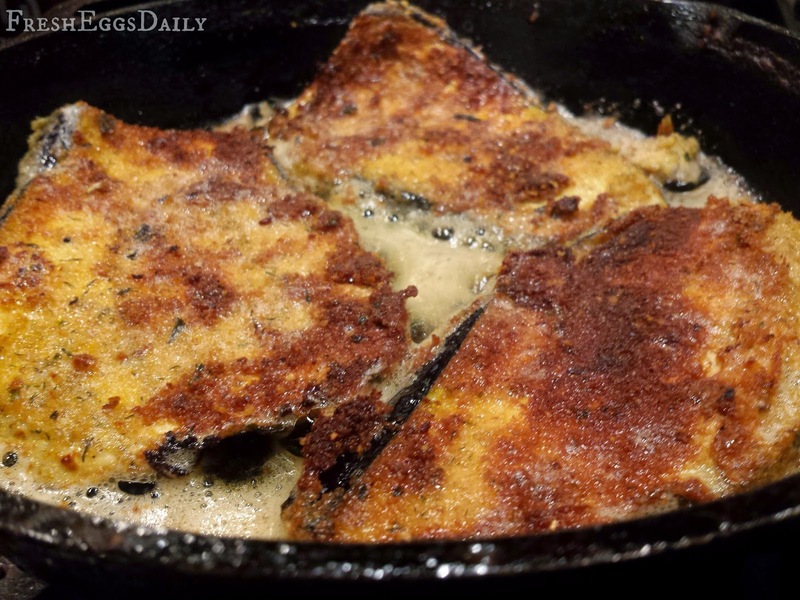 The Tuttorosso brand is a favorite at our house already, and I had just bought some eggplant I was planning on using in a classic Parmesan preparation. Even basic breading is made better with fresh eggs. In the spirit of using fresh ingredients, I decided to try the Perfect Marinara Sauce recipe from the Tuttorosso website instead of using jarred sauce, and was really pleased at how easy it was - and how its six-ingredient simplicity perfectly complemented the simple breading on the eggplant. 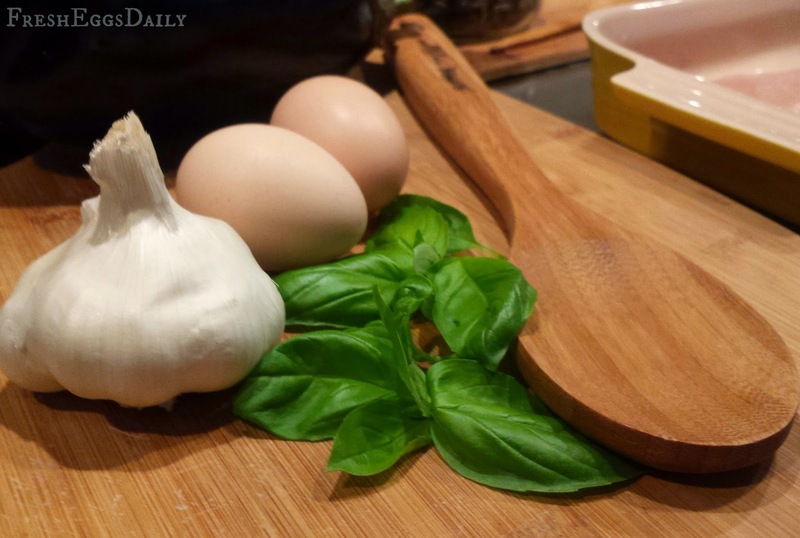 It also allowed me to use fresh garlic I grew this spring and some of the fresh basil from my windowsill herb garden, as well as a can of Tuttorosso Tomatoes. 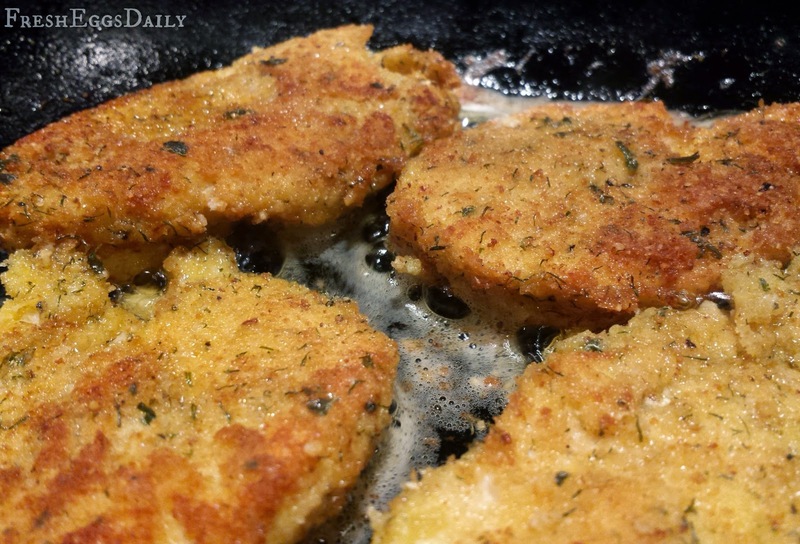 Combine breadcrumbs, cheese, herbs and salt and pepper in a shallow bowl and set aside. Pour some flour into a shallow bowl and set aside. Heat the olive oil and butter in a saucepan over medium heat, swirling until butter is melted. Dip each eggplant slice in the flour, then egg wash, then bread crumb mixture. Saute slices, several at a time in a single layer in the pan, until golden browned and fork-softened on both sides. 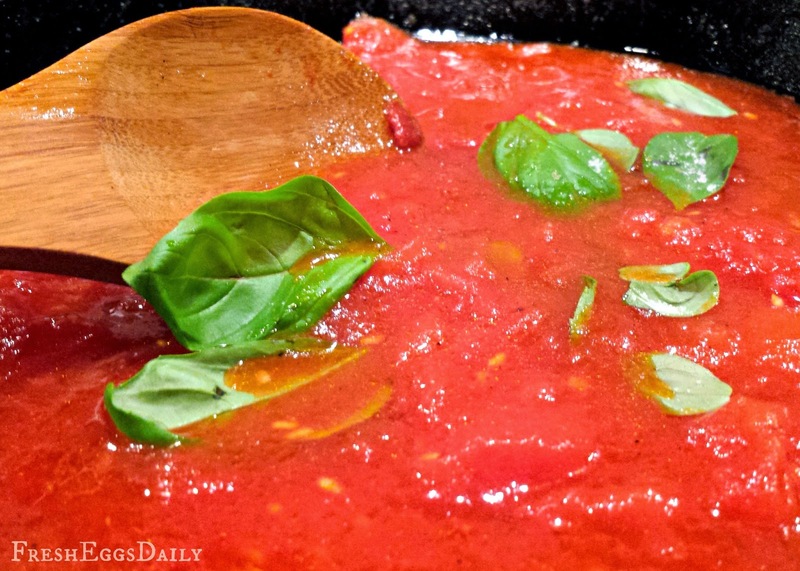 Serve with pasta and sauce, garnish with additional shaved Parmesan and fresh basil, if desired. 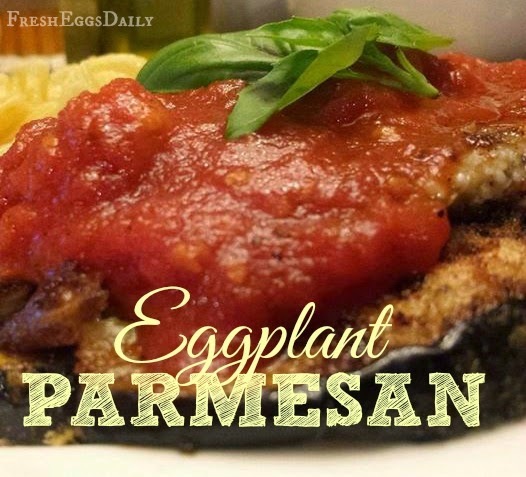 Classic eggplant Parmesan recipe to impress your family and friends. Combine breadcrumbs, cheese, herbs and salt and pepper in a shallow bowl and set aside. Pour some flour into a second shallow bowl and set aside. Heat the olive oil and butter in a saucepan over medium heat, swirling until butter is melted. Dip each eggplant slice in the flour, then egg wash, then bread crumb mixture. Saute slices, several at a time in a single layer in the pan, until golden browned and fork-soft on both sides. Disclosure: I received complimentary products for review purposes, however no additional compensation was received. All opinions are purely from my own personal observations and experience.